Did you know that some people still have to press and freeze tofu and then slice it to create a tofu fillet? They obviously haven’t heard of Taifun who take all the fuss out of creating a hunk of tofu for a quick, convenient meal. Just imagine a hot tofu fillet sandwich with tartar sauce… or breaded tofu slices with chips… The list of ideas is endless. 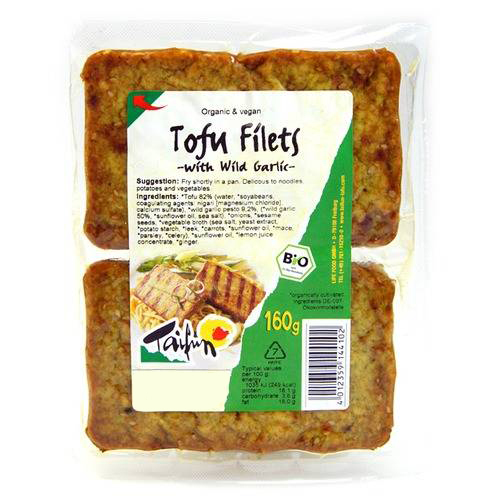 Taifun make a variety of organic tofu fillets including wild garlic flavour and pizza flavour. Don’t forget that tofu makes a great source of calcium and is high in protein. So why not fill up the fridge and have a tofu party? Have you ever wondered why loose tea tastes better than tea made with a tea bag? Let’s be frank: have you ever realised that loose tea tasted better than tea from a tea bag? Loose tea leaves are complete or at least bigger compared to the broken scraps found in your common tea bag. Bigger really is better in this case because, bigger leaves retain their essential oils while broken particles allow more of those nutrients to evaporate, leaving a comparatively lifeless flavour. 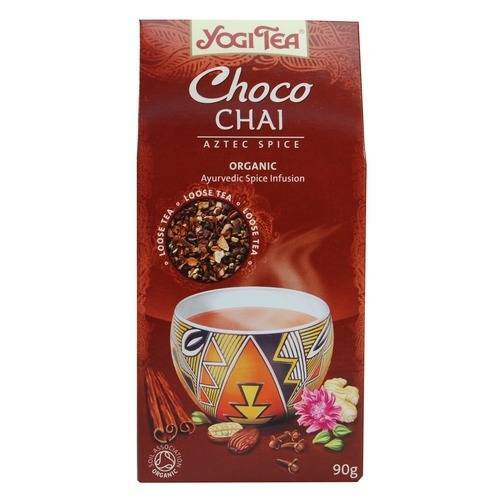 Now, Yogi tea is different, not least because they are made of an amazing mix of spices and not simply tea leaves. However, Yogi tea bags are different too. Their commitment to natural flavour means their many teas are packed individually in heat-sealed envelopes to help preserve the health benefits of the herbs used. This also maintains the freshness and flavor. But now Yogi are letting you get your hands on their original loose leaf concoctions. Another big advantage of brewing loose leaf is that the leaves have space to swell with water and release their flavour. The water circulation around the tea leaf is also important. The Organic Seed & Bean company have brought out some of the most unique bars of chocolate I have ever come across. 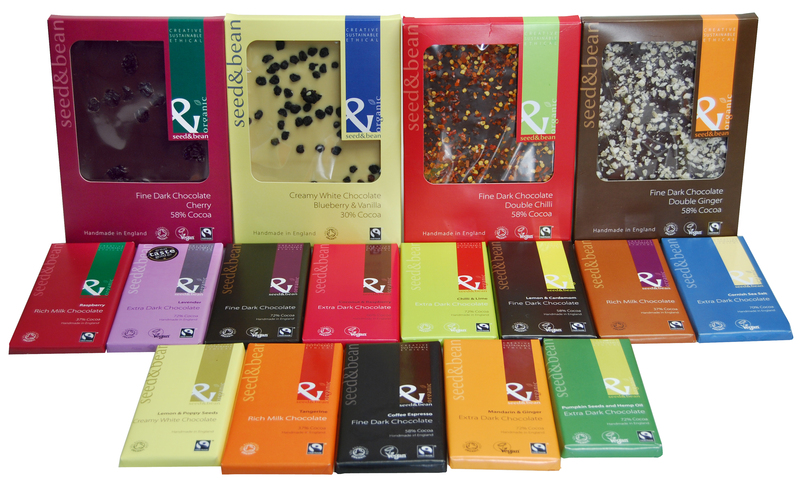 They are crammed with flavour & creativity and are the latest bars to hit the organic and Fairtrade ethical market! (In fact, they’re the best in ethical chocolate.) Take a closer look…. In the “extra dark” range you will come across some taste-bud tingling chilli & lime, some tongue twisting mandarin & ginger and some sensual raspberry & coconut. Not to forget the lavender, pumpkin & hemp and smoked Cornish sea salt. I bet your mouth is watering already! The “extra dark” bars range from 66% to 72% cocoa, they come in 85g bars and are all suitable for vegans. Just think, how many of your friends would love to try one of these? For all those who just want pure, unadulterated dark chocolate then this is the one for you… it’s Seed & Bean’s original fine dark chocolate known as Extra Dark for its high cocoa content – that’s it – nothing added. But for those that like a little twist then why not try these? Fine dark chocolate with lemon & cardamom or coffee espresso. Certainly something to sink one’s teeth into! Ranging from 58% to 72% in cocoa, from unadulterated to flavour sensations, these 85g bars are a great gift for anyone, and all are suitable for vegans. These 3 bars are a lot lower on the cocoa scale, all being at 37%, so they are very creamy. Completely delicious if you ask me! My other weak spot. Lemon & poppy seed. Ahhhh… just thinking about it is making me melt. I love lemon. I love white chocolate. I LOVE this combination! But you know… Sometimes a bar just isn’t big enough, so Seed & Bean have brought out the slab! These are great for if your having one of those “I need chocolate” days, and they are also great for sharing (yes, you can share chocolate). There are 4 fantastic flavours all of which are not available in the small bars so yes… there are 4 MORE flavours to taste! Fine dark chocolate with double ginger, fine dark chocolate with double chilli, fine dark chocolate with cherry and creamy white with blueberry & vanilla. Oh how do you pick? Those brilliant people at Amisa have been in the lab again. Now they’ve brought out a gluten free pizza base with a deep soft texture to it. It’s made of rice flour, corn starch and buckwheat flour and because it’s also egg free that makes it vegan too. Not only this but the innovators have been developing their own gluten free porridge using ELISA tested oats. 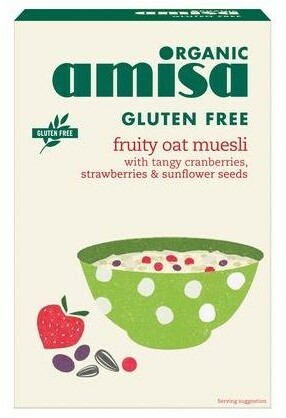 Porridge is great for this time of year and Amisa have developed an apple & cinnamon version as well as an original. They’ve also used the oats for a new muesli which includes cranberries and strawberries as well as sunflower seeds and linseed. 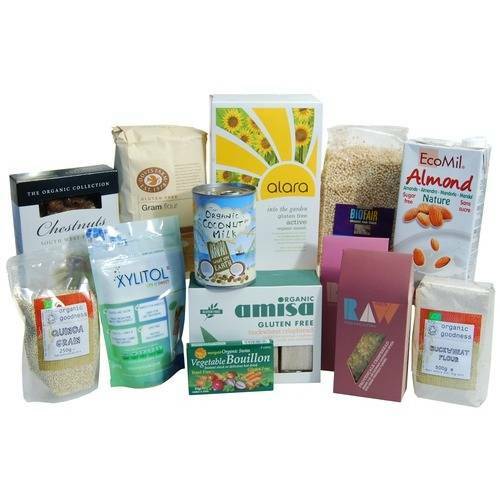 Amisa Organic make a range of cereals, crispbreads, cakes, bread, biscuits and crackers. Not only that, they taste like they’ve been made with love, so they’re definitely worth a mention during Food Allergy and Intolerance Week. Thinking of going on an Elimination Diet? If you’re trying to find out which food is upsetting you, causing IBS or possibly something worse than an Elimination Diet can help you discover what you need to avoid. We have put together an Elimination Diet Starter Pack based on advice from Allergy Medical UK. It is sensible to talk to a doctor or nutritionist about embarking on an Elimination Diet. You will need to avoid all but the least allergenic foods and it can take up to 2 weeks before you start reintroducing certain foods. There can also be other challenges along the way such as withdrawal symptoms or more intense symptoms once the offending food has been reintroduced. For more information visit the NHS’s guidance page on Elimination Diets or contact Allergy Medical UK (a private clinic devoted to treating allergies and immune conditions). The purpose of the Elimination Diet box and other similar foods is to take some of the hassle out of the process. We’ve got a competition on for a beautiful Fairtrade product called Dalit Spices. It’s a gift box of twelve individual spices, sourced directly from growers in India, and it comes with an illustrated authentic recipe book with 40 original recipes. 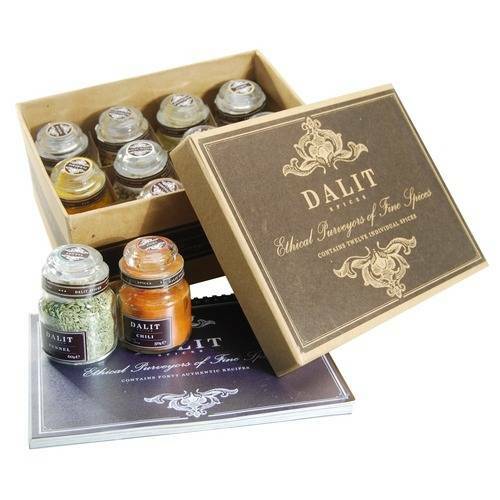 The bonus of the Dalit Spice box is that the manufacturers use their profits for the benefit of the Dalit people of India (also known as untouchables or outcasts). India is the home of spices and a special organisation called Life Association supports the work with street children there by building schools and orphanages for them. Fairtrade Fortnight this year runs from the 27 February – 11 March 2012, and this would be a perfect gift around that time to draw people’s attention to the plight of others. How to overcome constipation, a toxic colon and diarrhoea once and for all.My husband has a stressful job. He’s the sales manager of an ever growing company. The expectation to exceed the target (let alone meet it) for that month is always there. Now don’t get me wrong, he enjoys it immensely. He works with a fantastic bunch of people who all pull their weight. No one slacks. But the pressure and therefore the stress is still there.Why do I tell you this? Well let’s just say stress affects your body in many different ways. For my Husband, Ben, it affects his stomach and digestive system. Which leads me onto my point. I’ve been reading this book – How to overcome constipation, a toxic colon and diarrhoea once and for all, written by Peter Jackson and I’ve got 10 copies to give away to those that need a little extra help. Now by the title you would think it was all about, well, poo. But it’s not. Well it is, but its not. Read on and see how this book has changed my husbands life. Right from the very moment you put something in your mouth it will affect your bowls in many different ways depending on a very small yet extremely important fact. How long do you chew your food? In this day and age we are very busy. Much of the food we eat is ‘on the go’ so that’s bad for us… and even if it is home made, if we don’t chew enough then its still causing our body stress. Next, it travels down to the stomach where the breaking down really begins. Now if you haven’t chewed your food until it is liquid then your stomach is going to have to break down the lumps. If the food is the ‘Wrong type of food’ (I will get on to that later) then your stomach acids (gastric acid) will find it impossible to dissolve the bonds between the food molecules properly causing your body more stress. Obviously some things take a lot longer to break down and therefore sit in your stomach for several hours before being moved on to the small intestines. After the stomach comes the small intestine and it is said that 80% of the nutrient absorption takes place in the small intestine. So this is an important place. If the food you have eaten is either the wrong type of food or hasn’t been broken down enough whilst chewing or by your stomach acids then this can be where the trouble really begins. Your intestines produce a mucus to help lubricate the digestive tract making it easier for the unwanted food to slip through the colon. HOWEVER if the walls of your colon are coated with unwanted waste from previous attempts of digestion then your gonna get into some trouble! One of the main points of your colon is to absorb water from the waste on its way through. However if it cant come in contact with it as the walls of your colon are coated then you will end up with what is known as diarrhoea. And this will continue until you start to look after your inners a little more and think about what you are eating. What should I eat? Wrong foods, right foods. Well we all know that plenty of fibre is good for us. (especially those that are having a little trouble in the ‘passing’ area) but did you all know there are 2 different types of fibre? I certainly didn’t until I read this book. >Well, in a nut shell, insoluble fibre will push things through your system but in a fairly rough manor. For example, you may eat, say bran flakes (made from wheat bran) and they will go through you fairly quickly but in fact they are what’s known as roughage. As they travel through they will have a scratching affect which could make any sensitive situation worse. Things containing wheat, gluten, dairy, or red meat and sweet things. The point isn’t that you need to get rid of all these things completely, but that you need to know just how much of something you are having. Wheat for example manages to sneak into so many things nower days it’s almost unbelievable! and dairy is not far off either. Our bodies aren’t made to handle the amount of wheat and dairy that many of us consume. And if your still in doubt then you can always take a calcium & magnesium supplement. Meat – Now if you are a meat eater then this bit is going to be a little hard for you to swallow. It is recommended that you do not have red meat and pork more than once a month! Both meats are linked to higher risks of colon cancer so from this point alone you should really consider how much you have. It is actually recommended to have at least 2 days that are completely meat and fish free to give your body time to fully cleanse itself. Back to my husband. I have made a few subtle changes to his diet over the past few months. First I started with his breakfast. He was eating bran flakes. Now he eats oat based muesli. This is obvious. I have swapped the insoluble fibre with a soluble one. Not only that, but it also has nuts and dried fruit in it. This is definitely a much better start to the day. Once he had got used to that I changed his lunch. He was having a standard white bread sandwich every day, with some fruit and sometimes a piece of cake! Now he has a wheat free pasta dish with vegetables followed by fruit… (and I get the feeling he manages to sneak the odd cake now and again) but the main thing is that the wheat from the bread has gone, and so has the cheese. Tea times… now this is a slightly harder one to tackle. He is a meat lover. However if you fill the plate with veg and keep reminding them to chew until its liquid then by the time it gets to seconds (in other words getting more meat) they are actually feeling full from dinner and having learnt a little self control he no longer gets more meat. Its a step in the right direction. If you live in the UK and would like to be entered in to the hat to have one of the 10 copies I’m giving away then simply send us an email with the subject A toxic Colon plus your name and you will be put in the hat!